While the market offers more and more high quality products, it is necessary to get acquainted again with our old gastronomic partner. Olive oil gives people strength, health. This was diagnosed by Hippocrates centuries before anything, the diagnosed before 60 years Research 7 countries (Finland, United States, Netherlands, Italy, Yugoslavia, Greece and Japan) launched the World Health Organization to declare after 10 years, how Cretans had the lowest death rates from cancer and coronary heart disease. The secret? Among other things, using only olive oil in the food and ate many olives Cretans. More than 2,000 scientific studies have demonstrated that olive oil, other than pleasure, and medicine is "good" unsaturated fats including 60-80% monounsaturated fat (mainly oleic acid), several antioxidants such as polyphenols, flavonoids, vitamin E provitamin a and minerals and trace elements are some of the elements that give this property. The contribution to the health, great. Lowers bad cholesterol (LDL) and raise good cholesterol (HDL), preventing the occurrence of cardiovascular diseases and protecting the body from coronary heart disease Helps proper bowel function and helps to treat ulcers of the stomach and duodenum. Facilitates the absorption of calcium. It protects the body from infections. It plays a role in preventing cancer and premature aging. Enhances brain function, and more, which seems to have no end. It is no wonder that the demand and consumption of quality olive oil out of the Mediterranean, is steadily increasing throughout the world, both by people who care about their health, but certainly by chefs who recognize the great taste. 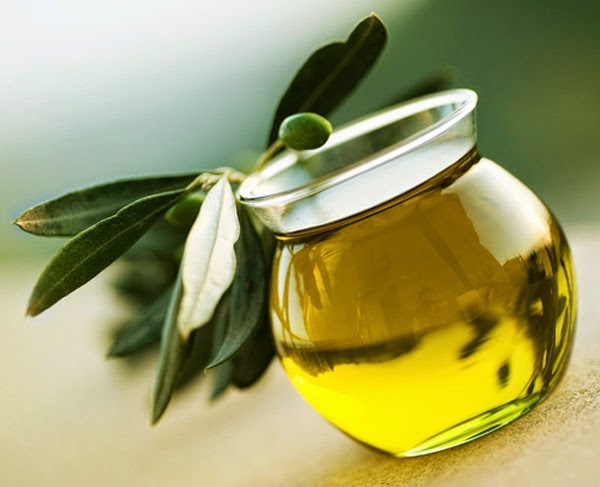 The main categories of oil available in the market are divided into categories by the International Olive Council, the main criterion for the acidity, ie the percentage of oleic acid they contain. Characterization olive oil, when used alone, it refers to any case in the pomace. Edible is olive oil with an acidity of less than 3.3% and industrial (inedible -lampante) is sharply higher than 3.3%. Extra Virgin Olive Oil (acidity 0.1% - 0.8%). Is qualitatively superior category olive oil obtained directly from olives only by mechanical methods. The difference from the Virgin Olive Oil; risk both in the intensity of the organoleptic quality elements that distinguish and lower natural acidity. Virgin Olive Oil (acidity 0.8% - 1%). 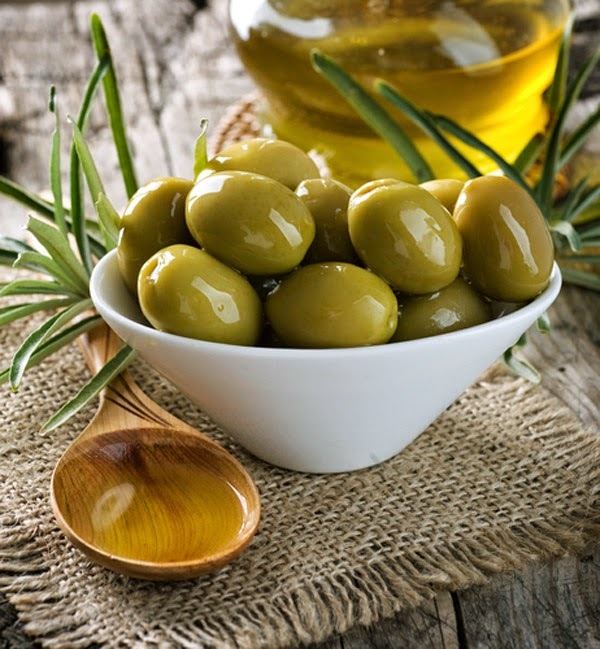 Is olive oil obtained directly from olives only by mechanical methods. Olive oil is a mixture which consists of 80-85% of oil, which by nature is inappropriate; tion (due to its low organoleptic and high oxytitas- of over 2.0%) and by 10-20% of extra virgin olive oil. It is an olive oil of lower quality than the Virgin and Extra Virgin olive oil. Important: All the valuable nutritional benefits of olive oil, great taste and aroma, is active in categories Virgin and Extra Virgin olive oil, especially when eaten raw. Olive oil without having its own properties, it is still an excellent fat, provided it is collected, squeezed and bottled in the right conditions. The PDO (Protected Designation of Origin) and PGI (Determination GIs), often written on the label, indicating that they are products with special quality characteristics due to soil the place that produced the climate, in ways that use for the production of the people of a particular geographical area. In general characterization PDO refers to a very specific area (say a municipality) and the PGI relate to a wider geographical area (say prefecture). Only extra virgin oils are allowed to write on the label PDO or PGI and conditions required on the part of the state is very specific and very strict to maintain the high quality of the product. Agios Matheos Corfu, Apokoronas Chania Crete, Heraklion, Crete Archanes, Viannos Heraklion, Crete, North Mylopotamos Rethymno, Crete thraspano Extra virgin olive oil, extra virgin olive oil "Troizinia" Kalamata, Chania Crete Kolimvari, Kranidi Argolis, Laconia Krokees, Lykourgeio Asclepion, Prose Heraklion Crete, Laconia Petrino, Sitia Lassithi Crete, Laconia Foiniki. Zakynthos, Thassos, Lesvos, Kefalonia, Laconia, Olympia, Preveza, Rhodes, Samos, Crete Chania. The words "First cold extraction" or "cold pressure extraction" means that at any stage of pressing, the temperature not exceeding 27 ° C or the entire processing is done in centrifugal mills or at mills press with cloths (the production of oil from mill with cloths, no more than 2-3% of total production). This process allows the oil to retain all its organoleptic and nutritional values. Not necessarily all Virgin and Extra Virgin Olive Oil (unless of PDO / PGI) products "cold pressing".